Japanese Wii owners will be treated to two Virtual Console releases this week: The MSX version of Parodius and the MSX version of Salamander. 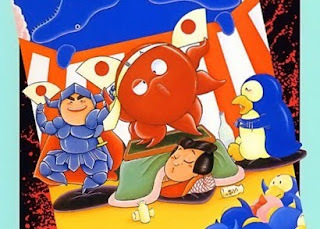 I'd buy the MSX version of Parodius in a heartbeat if I owned a Japanese Wii. It's hardly the best iteration of Parodius, a series I've loved since the release of Parodius Da! in the early 1990s, but it is the most unique (in my opinion, of course). It's also the hardest--and "cheapest." If you're lucky enough to own a Japanese Wii--and you decide to plop down 800 Nintendo points for this title--but you can't tell your hiragana from your katakana, go here to download an English version of the manual.